Have you noticed a foul odor when you run the well or city-supplied water in your home? Are your water fixtures marred with rust or green-colored stains? Are you concerned about the potential for high levels of arsenic being found in water samples within the Enumclaw area? 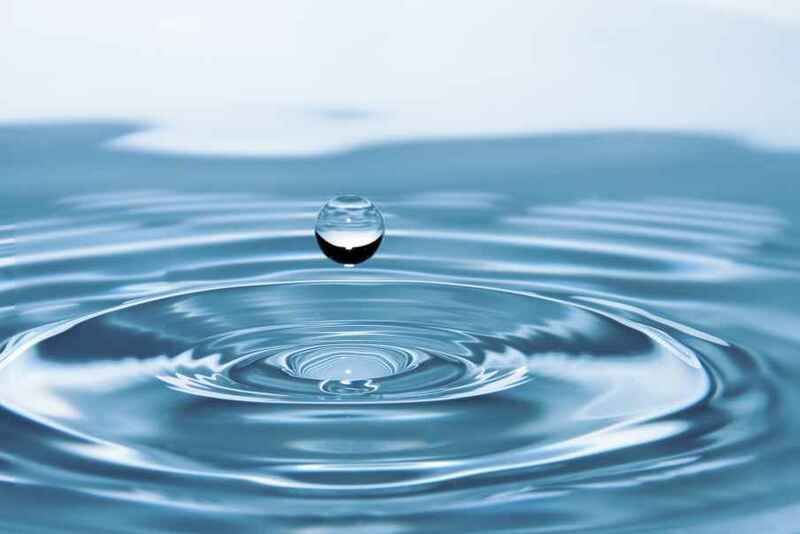 Find out what Enumclaw water treatment can do to change your quality of life. Unfortunately, water problems are common all over Western Washington, and they can lead to costly plumbing bills due to pipe corrosion, unsightly hard water staining on your home's fixtures, and there is even the potential for developing health problems. The best and most cost efficient solution to your water problems may be to install an Enumclaw water filtration system, fully customized to your unique situation. The quality of your water matters. Whether you're concerned about the viability of your drinking water, or are simply considering a water softener to battle hard water issues, our experts can design and install an Enumclaw water purification system that will solve your problems. Don't take any chances with your water. Contact us today at (253) 630-7177 or (800) 377-7401 and find out if you would benefit from an Enumclaw water filtration system. We keep our overhead low and our margins modest, so you will likely be surprised by how affordable your Enumclaw water purification setup will be. In 1885, the community of Enumclaw, which is located approximately 25 miles southeast of Seattle, was established. That same year the transcontinental mainline of the Northern Pacific Railroad was routed through the homestead of Mary Fell and Frank Stevenson, who accepted their offer of level, cleared property for a siding. There were only a few pioneers living on the high plateau that is located is in the foothills of the craggy Cascade Range close to the volcanic peak of Mount Rainier at the time. That same year, Mr. and Mrs. Stevenson filed a plat with the Auditor of King County because they were confident that the new settlement would grow. They gave away lots for a general store and a saloon and constructed a hotel. According to legend, Indian warriors had fled from Enumclaw, which was their word for the thunderous roar from a close peak, which they honored as sacred ground. The potential for a volcanic disaster was downplayed by local promoters, who remained pointedly silent about the eruption of Mount Baldy, which rises directly above the community. A farming area was developed from the plateau region. Some farmers prospered by growing hops. During the 1880’s and the early 1890’s the area experienced what might be considered a hop craze. However, a drop in the world commodity market and a local infestation of hop lice resulted in many farmers to turn to dairy farming, which remains a primary industry. The mining communities of Black Diamond, Cumberland, and Franklin, which all border on the plateau, the railroad workers, provides ready markets for the produce that the farmers grew. In 1900, Enumclaw first appears in US census figures. The population of the community was 483 people, with immigrants from Germany, France, Italy, Slovenia, and Scandinavia. As the result of an outpouring of volunteers and effective lobbying, county roads linked Enumclaw with Thomas. The log roadway was seasonably impassable and rough as the result of mud, but it put Enumclaw on the map. However, the community was bypassed by the Northern Pacific with a cutoff that was routed through Palmer. The organizers of the agriculture cooperatives, such as were primarily Danish immigrants took a lead as organizers of agricultural cooperatives. A consortium of six immigrants from Sweden that included Charles Hanson and three of his sons bought the White River Shingle and lumber Company that became the primary employer in the community, in 1897. The residents of the plateau residents built few public buildings outside of Enumclaw. The focus of the activity of this rural was the school houses that were located throughout the region. Enumclaw became the center for the consolidation of the school districts as evidenced by the three story, substantial brick JJ Smith High/Grammar School that was built in 1910 and was named after a prominent doctor who also served as state senator. The Pacific, Saint Paul, Milwaukee, and Chicago Railroad routed a branch line through the community, which established Enumclaw as the primary supply and distribution for lumber and mining operations as well as agricultural cooperatives in the region. After its incorporation in 1913, the community replaced lanterns with electric streetlights and the White River Lumber Company sold the community a fresh water spring for a public water supply. The state was lobbied effectively by the Enumclaw Good Roads Association to extend the pavement next to the winding, narrow road to Auburn, from where the Interurban Railroad often made runs to Tacoma and Seattle. Leaders in the community promoted the conversion to brick buildings from wood frame buildings, which helped to make sure that the more permanent business district would have protection against fire. These days, the community bills itself as the Gateway City and continues courting the tourist trade. For outdoor enthusiasts, there are many different recreational opportunities. The annual King County Fair is also hosted in Enumclaw. There were considerable changes to the local economy during the 1950’s. The trucking industry took over the once dominant railroads. The Mutual of Enumclaw Insurance Company experienced a period of rapid growth, extending its services into neighboring states and expanding its product line. The home office became a primary local employer. The merger of the Weyerhaeuser Corporation and the White River Lumber Company was another important development of the community. In the early stages, Enumclaw wasn’t affected by the transformation of the Puget Sound area, which started during WW II with the Boeing boom. The community had its own employment base in insurance and lumber companies and didn’t become a bedroom community, primarily because it was away from the mainstream. The population of the plateau has increased to 40,000 people and the population of Enumclaw has doubled to 10,000 people since the middle 1980’s. On the outskirts of the community, retirees and commuters have relocated to new housing enclaves. However, as the result of a limited supply of drinking water, the community has nonetheless restricted growth in the population. For single family housing, the plateau area was subdivided into larger than normal lots. As a result, there has been a proliferation in upscale country homes. Homeowners boast of their rural amenities such as lavish gardens, emus, pet llamas, and riding horses. They share the plateau with older family farms and dairies, some of which are operated by farmers of the fifth and fourth generation.